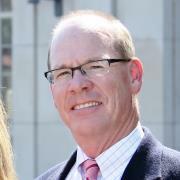 James Alex Grice began his Wealth Management career in 1982 when he joined Merrill Lynch. His responsibilities increased during his tenure there including a promotion to Branch Manager. In 1998 Alex was recruited by Smith Barney and remained there through the merger with Morgan Stanley in 2011. Alex has had numerous roles and responsibilities over the years. His current designations/positions include: Financial Planning Specialist, Portfolio Management Advisory Representative II, 1st Vice President of Wealth Management, Producing Branch Manager and Financial Advisor. Alex grew up in Shallowater, TX and graduated from Texas Tech University in 1979 with a Bachelor’s degree in Business Administration. He is active with the Lubbock Chamber of Commerce, March of Dimes and United Way. Alex and wife Linda have two children, Hannah and Colt. James Paul Combest has been in the Wealth Management business since 1977. He began his career at Merrill Lynch and remained there until 1998 when he was recruited to join Smith Barney. 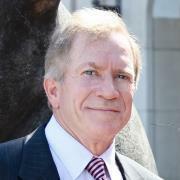 In 2011 Smith Barney merged with Morgan Stanley. Paul brings to the team a wealth of knowledge and experience. At Merrill Lynch Paul’s titles included Financial Advisor and First Vice President. Currently his Morgan Stanley designations include Financial Advisor, First Vice President of Wealth Management and Portfolio Management Advisory Representative I. Originally from Electra, TX, Paul graduated in 1975 with a Bachelor’s in Business Administration from Midwestern State University. He relocated to Lubbock in 1976. 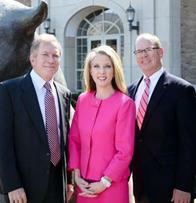 Paul has served on the board of Texas Tech Alumni Association since 2010. His past community involvement includes membership in the Southwest Lubbock Rotary Club (1991-2006) including a seat on the Board from 1997-1998. Paul has two children, Callie and Kelby. 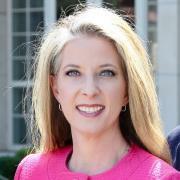 With over 25 years of financial industry experience, Leslie McEntire has worked for several firms including Merrill Lynch, Edward Jones and SWBC Investments. She began her career with Morgan Stanley in 2010 when she joined Smith Barney and remained through the merger. As a Portfolio Associate and Branch Administrator, Leslie brings a wealth of experience and passion in wealth planning, client service and account administration to the Combest/Grice Group. She has proven to be a valuable asset to Morgan Stanley and their clients. Originally from Midland, TX, Leslie grew up in Memphis, TN and studied General Business at the University of Mississippi. She returned to Texas in 1998. She has a Series 7, Series 63, Series 65, Series 31 and General Insurance License. She is active in the Lubbock community and shares her life with her son, Peyton. Ready to start a conversation? Contact The Combest Grice Group today.